It had been clear all day so it was inevitable that wispy cloud would start to form just as I was setting up. By 21:30 the transparency was definitely deteriorating. The modified ST102 was all set and the first eyepiece in the diagonal was a Baader 31mm Hyperion Aspheric. This gave 16.12x with an FOV of 4º, 27’, 58” for a 6.32mm exit pupil if you want to be super precise. The first thing I looked at was an incredibly low M42 which I could just see as it was disappearing below a rooftop. I spent some time slowly sweeping in Orion and then north west into Taurus, Perseus and Cassiopeia. A highlight in Cassiopeia was M52 which I often overlook for some reason. The overall seeing was good and the thin clouds were dissipating nicely. The transparency wasn’t as good as I would have liked but it was looking more promising by the minute. 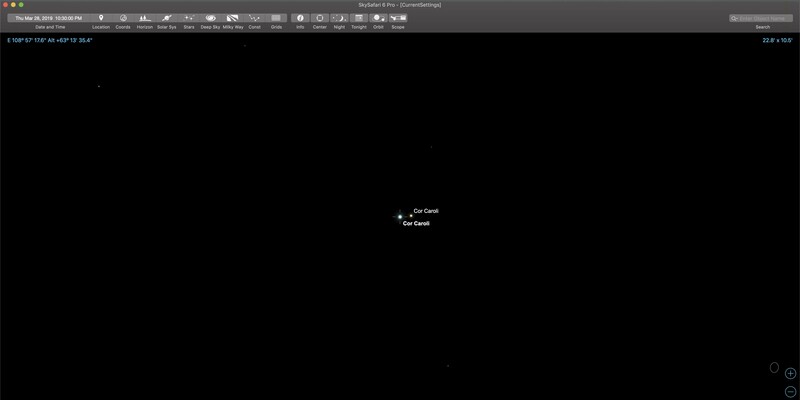 The Beehive and Coma Berenices were good at 16x and I made a sweep around Canes Venatici, Cor Caroli and then Ursa Major. I’d spent about an hour leisurely sweeping with the 31mm Aspheric and decided to look at the Whirlpool and Sunflower Galaxies with the 9mm Celestron X-Cel LX. 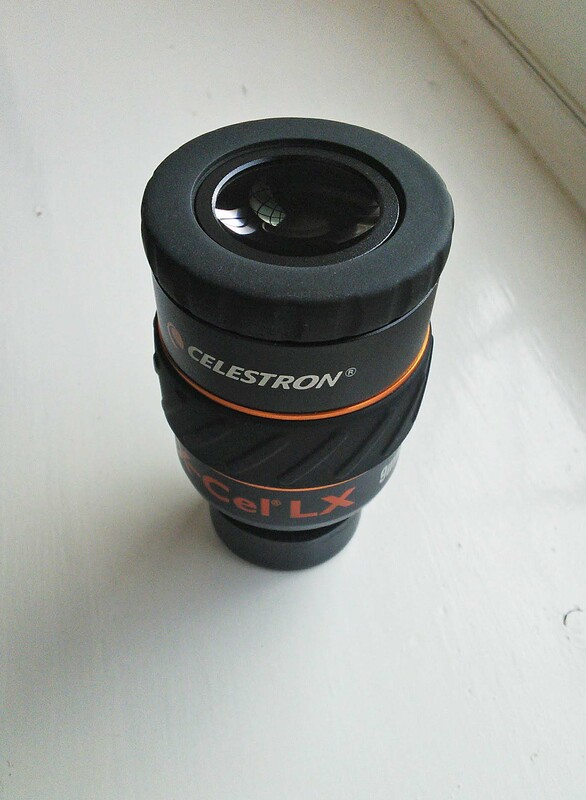 I’d originally bought this eyepiece about three or four years ago principally for lunar and planetary observing. I normally used it in conjunction with an X-Cel Barlow on a Newtonian. It took me a while to get used to its weird and slightly unconventional shape (to my eyes). However I soon realised that despite its bumble bee colouring and futuristic appearance it was a very well ergonomically designed EP. I even liked its twist-up eyeguard and I’m not always a great fan of them. I did plan on acquiring more of the set but after buying and returning three 7mm X-Cel EP’s in a row that had visible debris I eventually decided on alternative 7mm eyepieces. The 60º FOV isn’t particularly wide field but is better than I thought it would be in a rich field scope like the ST102 and it gives me almost exactly an arc degree. I revisited a stunning Cor Caroli with the X-Cel for 55.5x and a 1.8mm exit pupil. I also had a look at the Owl Cluster and the Double Cluster before ending the session with a last sweep of Cancer and Leo with a 19mm TeleVue Panoptic.